Here’s a sample chapter from my first published book over ten years ago. It has been recently revised and expanded. In celebration, You can download a full copy of ‘Write Your Best Book now for free exclusively from Amazon.com for 72 hours. A bit of my story, over ten years ago I was writing and writing about my passion, Writing. As a freelance writer, I had racked up hundreds of articles about writing, publishing and marketing. I was talking to a good friend who in mid-conversion asked the now infamous question, ‘do you know how to publish and what would you publish, if money wasn’t a factor?’ My answer was, I have plenty lined up to publish. I know how to publish but I haven’t published anything to test the system. It’s one of those times that you know what to do but you have to test the system to experience the problems that could and probably will come up. The rest is history, that friend and several family members financed my first book publishing project. Many books published later, I’m so thankful for them and their belief in me. Out of this one book, ‘Write Your Best Book Now’ flowed the 100 Days To A Book course, the next step courses ‘Self Publishing Your Way,’ ‘iProductology,’ the ‘How To Write A Book Guides’ ebooks, ‘Signature Book Camp’ with the book writing and publishing emphasis combined in one course, as well as a host of events and programs you’ll be hearing more about in the new year. I’m so excited! Anyway, enjoy the sample chapter below and don’t forget download free the ‘Write Your Best Book Now’ ebook before it’s two late and sign up for one of the next step courses. Hope to see you around one of the virtual campuses. Anyone can write a book filled with passionate information, a message or one’s expertise. Yet many do not because they assume they aren’t talented enough, they don’t have the time, it won’t sell, it will take too long or it won’t be significant. Are you one of those who procrastinate, assuming it won’t work for various reasons? Imagine for a moment that all of those assumptions and concerns could be dissolved and an easy plan emerged that would help you get your book written and out to help the world. What If Everyone Could Write a Book? 1. Start with a plan to pursue your passionate goal and win. Your WIN is the successful completion of your book marketed to a targeted audience with more book sales than you dreamed. Your map is a written marketing plan including the goal, the route and passion points (signs) along the way. Our 7 step writing program is your vehicle of choice to take you to your goal.Start your journey with a written marketing plan that will guide you down your book path with ease and direction. Additionally, authors who enjoy the greatest success work from a plan, even a program that begins with a book. The book is the beginning not the end. The Write Your Best Book Now program helps you describe your book, the characteristics of its market including who and why they will buy it. Developing your book following the program explains how you will build upon the credibility and visibility your book creates. Your plan will describe how you will promote your book as well as develop multiple streams of income from it. Following this plan encourages you to view your book as an expandable “concept” instead of just one title. It will encourage you to build a structure and insert modules of your existing information into it, resulting in easy, step-by-step writing of a successful book(s). Begin by asking some fundamental marketing questions: Who is your target audience, who do you want to buy your book, what problems do they face, what motivates them (fear, anger), why will they buy your book, what benefit will your book offer its readers, what will you do to promote your book and ways you can profit from your book’s success. 2. Set up passion points to guide your book to success. Every part should be written passionately and designed to be a sales tool. Touch your readers’ emotion with passion for your topic and you’ll sell more books. In fact, when you design your book to include the passion points below, you’ll sell more books than you ever imagined. Your first passion point should be to write to help one targeted audience. It’s true your book won’t interest everyone. But, there is a community of people in your field waiting for you to solve their problem. What problems does your message solve for them? Secondly, but just as importantly, sizzle your title and book cover as passion points. Researchers say you have around 20 seconds to hook your potential buyer including front and back covers. An excellent title is short. The top titles are benefit driven. Don’t forget to heat them up with emotion. Devise your theme as one central thought. Best sellers focus on one theme. It makes your copy more focused and compelling than it would be otherwise. Design your mini-billboard or 30-second commercial for elevators, grocery lines and anywhere you have only a few seconds to tell and sell. Your back cover is another important passion point that should be designed to sell. It should be written as a mini-sales letter driven by benefits for your reader as well. Write your back cover before you write your book. Develop your introduction. State the problem your reader has, why you wrote the book, and its purpose. Compile a table of contents including sizzling chapter titles. If the chapter titles are not obvious, then annotate them. Don’t forget to begin early to contact influencers in your field. The testimonials from experienced contacts will lend influence to your back cover making it a powerful sales tool. 3. Sizzle your titles with passion to sell more books. Create sizzling titles designed to hook your potential readers. One of the most important skills to develop as a marketer of your book is the skill of creating attention-grabbing titles. When you master this skill, you may use it in every aspect of your writing to attract more readers, more sales, improve your cash flow and increase your profits. You will need title-writing skill for your book titles, chapter titles, and sub-heading. Even bullet points will have pulling power, if they are developed correctly. Your website will need passionate headings to capture the attention of your web visitors. If you don’t want your marketing messages to be lost in the sea of information streaming into your reader’s consciousness each day, you must title them well. In fact, any marketing material from your five-page sales letter or tri-fold brochure to the two-line classified ad needs the attention grabbing power of a great headline. Titles set the stage for your potential audience. They either will work to grab your potential reader by the collar and pull them in for the read or they don’t. Top titles create excitement, anticipation and enthusiasm for more. You want your titles to express the heart and passion of your message or be ‘the match’ that ignites your reader’s interest in reading your important message. Develop this valuable skill and you add magnetic pulling power and punch to all your marketing documents including your front book cover and chapter titles that will get your message read. 4. Mine your knowledge like gold. One of the main concepts of the 7 step writing program of the Write Your Best Book Now book includes excavating your unique groups of existing knowledge and opinions. Many people think they have to be super smart while doing tons of research on a topic they barely know anything about much less feel any passion for. Following this program you will pull out modules or nuggets of existing information from your speeches, classes, articles, and brochures. If you’ve never done this before, you may be surprised at what turns up. When you organize your information into groups and categories, it will be easier to write your book and easier to repackage your ideas into newsletters, articles, speeches and website reports that will help market and sell your book. These nugget ideas in its various forms will engage your readers and build your credibility. With anything valuable such as gold, the sifting process will reveal the rough cut form (draft). Then a process called refining is used where heat is applied to purify and even re-shape and polish the gold to its fullest potential. So it is with your collection of knowledge and experiences, sift through your files and memories looking for nuggets (groups of pertinent information) you can identify, organize and write about. Then, apply the heat of purging unnecessary information. Burn away all the dross and impurities of your message by tossing the unrelated information. By grouping and categorizing your existing knowledge, you can identify and list chapter titles and even main supporting points. The result will be a fast and easy writing of your book. 5. Create a fabulous framework to house each chapter. The best non-fiction books have a set structure to house their chapters. That structure provides the framework for each chapter. It’s stressful to re-invent the wheel every time with a blank screen. Most people, including the author, are intimidated by a blank screen. ==>>Chapter title: The title immediately followed by a subtitle emphasizes and explains its meaning. ==>>Brief quote: Following the title are one to two quotes from your speeches or other authorities in your field which support the title. ==>>Introduction: Each chapter begins with a six to eight paragraph introduction that may include a story presenting the chapter’s main principle or underlying thesis. For short books 3 to 4 paragraphs sound great. ==>>7 to 10 points: Following the introduction may be lessons or tools used to achieve the goal presented in the introduction. Condense your material as you develop each point. Some lessons may require one paragraph and others may need several. ==>>Case studies: Each chapter may include one or more story form case studies that support the chapter’s central idea. ==>>Self-evaluation tools: The chapter may include brief questions that permit readers to measure their progress with each of the principles described in the chapters. ==>>Conclusion: Each chapter may end with four to eight paragraphs that summarize the central idea and supporting points. ==>>Other Engagement Tools: The chapter may include other engagement tools such as worksheets, note sheets, or lists that work to engage your readers and make them active participants in the book instead of just observing. 6. Take easy steps to speed your passionate writing. 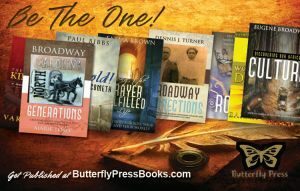 Write your best book now! Have you been guilty of procrastinating on your book project lately? Like the author, many writers get hung up with “wrong” thinking about writing and completing their books. ==>>Act now. Action will paralyze fear each and every time. ==>>Avoid marathon writing. Know you don’t have to become a hermit to write and complete a successful book. ==>>Commit to the tracking approach. Doing a set amount-even if it’s only an hour-each day builds a cumulative effect. ==>>Know you don’t have to write chapters in order. You can jump around and fill in the blanks to gain momentum. ==>>Maintain your momentum. Don’t give in to writer’s block. Move on to work on the chapter you feel passion bubbling for at that moment. ==>>Rewrite & re-organize. Be a professional. Don’t be lazy and save all the editing for your editor. Make your manuscript the best it can be. ==>>Learn to delegate. Don’t succumb to the idea that you have to do it all yourself to have it done right. Discern your talents and delegate the rest. Let go faster and profit sooner. ==>>Work efficiently. Embrace technology. If you don’t know how something works, find out. Take a class. Read articles. Learn how to use your software to make things easier and faster. ==>>Print out & back up daily. Don’t believe a computer crash can never happen to you. Save your work somewhere besides your computer hard drive – floppy disk, cd, DVD. Make a hard copy of your manuscript. Print out changes as you work. Even so, nothing can happen until that first draft is completed. Procrastination is ultimately based on fear of failure. It has stopped countless of book projects and stolen the vision of many more. Don’t allow procrastination to become a giant towering over your book dreams. Step out of your comfort zone. Prepare your marketing plan, mine your existing knowledge and create a framework for each chapter. Speed write your book and you’ll be surprised at what you accomplish by following the simple steps of this easy writing program. 7. Build multiple streams of income. The seventh step in making your Write Your Best Book Now writing program work includes refining, repeating and repackaging. It involves developing a continuing with a website, a stream of articles, reports and follow-up products and even services to build your brand further. Once you capture your reader’s email addresses and permission to keep in touch with them, you’ll want to develop an ongoing stream of articles and even new information products to sell them. Also, on an ongoing basis you will want to review your modules and nuggets of information to chunk it into shorter articles, blogs and columns to promote everywhere you can online and in print. Your main goal in submitting articles and columns is not to gain income but opportunities to expose your website URL and book to potential visitors. Use informational articles and reports. People are online the majority of the time looking for free information. Your article can be comprised of a single idea or a brief overview of the contents you cover in a chapter. Columns interpret more than educate. They permit you to give your opinion on current trends, events or outside influences affecting your readers. The more exposure you and your website receive the more credibility you build as an expert and author in your field. Producing your articles for promotion will become easier and easier as you invest time in chunking your knowledge and information. Email newsletters offer you another opportunity to keep in touch with your readers. Your newsletters can be either informational or opinionated. Either way, they give you an opportunity to remain visible and build even more credibility. Be sure to include your case studies and testimonials to further promote your competent service or product. Technology has advanced making it easier and easier to electronically publish your own e-books. The profits from each sale on a per-unit basis can be 10X the royalties earned by your original book. 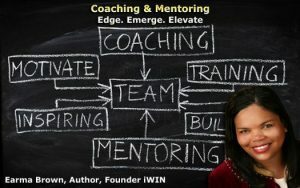 The growing possibilities of future income and promotional opportunities are articles, columns, white papers and special reports, journals, workbooks, newsletters (print & online), coaching and consulting. Though your goal may not be to be a publishing machine, putting out best selling books to formula, but it is important to consider ways to partner with your readers through your website. You can continue to produce articles, books and updates that help you profit from your passion. Each new book or related material will further enhance your visibility and reinforce your credibility as an expert. Don’t view your book as a one-title event. But begin to look at it as the beginning of your successful author journey. If you are looking for an easier journey, more rewards and more profits from your book, follow the principles in the 7 step program of Write Your Best Book Now. In the following chapters, we’ll take a closer look at each of the ideas and concepts above. Hope you enjoyed the sample chapter from my first published book over ten years ago. It has been recently revised and expanded. 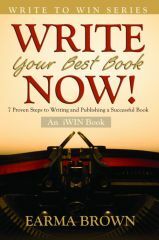 In celebration, You can download a full copy of ‘Write Your Best Book now for free exclusively from Amazon.com for 72 hours.